Looking for auto service deals near Meriden? Look no further than the auto service coupons here at Executive Honda. Find coupons on the Honda service you need including oil change coupons, complimentary battery test, as well as tire alignment and tire rotation coupons. Our service specials are ever changing so be sure to check back often. At the Honda service center here at Executive Honda, we even honor service coupons from any other Honda dealer. With deals like these, there’s no better time to get the auto service you need. Schedule your service appointment today! Honda trained technicians will perform a FREE 27-point inspection and provide you with a condition report. Plus tax and disposal fees where applicable. Must present ad at time of purchase/ service to redeem. Limit to one coupon per person. Coupon does not apply to prior purchases. Offers may not be combined w/ other offers/ discounts & are subject to change/ termination w/out notice. No substitutions. Not responsible for typos. See dealer for details. OIL & FILTER CHANGE 10% OFF! To keep your engine running smoothly, it’s highly recommended that you change your oil when the maintenance minder says 20% or once a year, which ever comes first! Includes up to 5 QTS of oil (synthetic & diesel extra). Plus tax and disposal fees where applicable. Must present ad at time of purchase/service to redeem. Offers may not be combined w/other offers/discounts & are subject to change/termination w/out notice. No cash value. Not retroactive. Not responsible for typos. See dealer for details. Is your vehicle shaking to the left or the right? It’s most likely time to get your wheel alignment serviced! We care about your safety here at Executive Honda! Hurry in and take advantage of our alignment special! Plus tax and disposal fees where applicable. Must present ad at time of purchase/service to redeem. Offers may not be combined w/other offers/discounts & are subject to change/termination w/out notice. No cash value. Not retroactive. Not responsible for typos. See dealer for details. 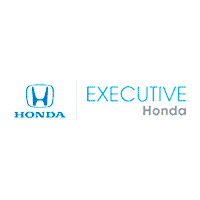 You can rest assured that your new or used Honda is in good hands with our certified technicians here at Executive Honda. You’ll also take comfort in knowing that we used genuine OEM Honda parts and even have a dedicated parts department to ensure we have the Honda parts on hand to get the job done right the first time. Once you’ve browsed our auto service specials and coupons, contact us at your convenience to schedule your brake service, oil change, or routine maintenance.